In 1869, the new Meiji government set about developing Hokkaido, establishing a Kaitakushi (the national government Hokkaido Development Commission). Thereafter, over more than a decade until the post was abolished, many businesses were developed on this northern Japanese island. One of them was the brewing of beer. In June 1876, Seibei Nakagawa, who had recently returned from Germany where he studied the art of beer making, was chosen as brewmaster to oversee construction of a beer factory. That September, the Kaitakushi Brewery was completed. 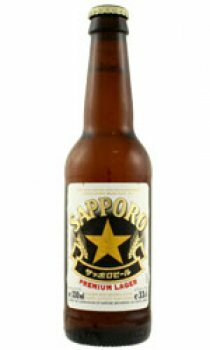 The following year, Sapporo Lager was born, prominently displaying the Pioneers' symbol, the North Star.